I booked a staycation at Quincy Hotel to celebrate hubby’s birthday this year. 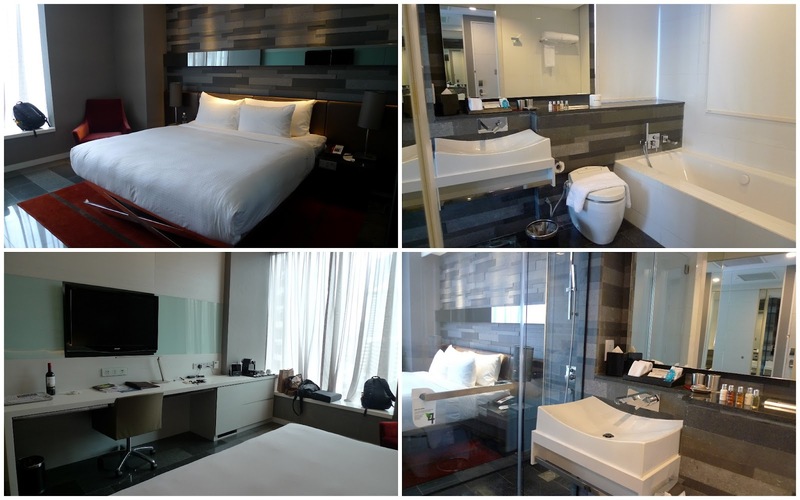 The staycation package cost $295.80++ which includes upgrading from studio room to deluxe room, 3 complimentary meals during the stay, baking class and free movie session. We checked in at around 2pm. We parked our car at the carpark below Elizabeth Hotel which Quincy Hotel shared with Elizabeth Hotel. The check-in was a breeze and complimentary bottle of wine was given to us. One of the receptionists guided to our room and explains the amenities to us. 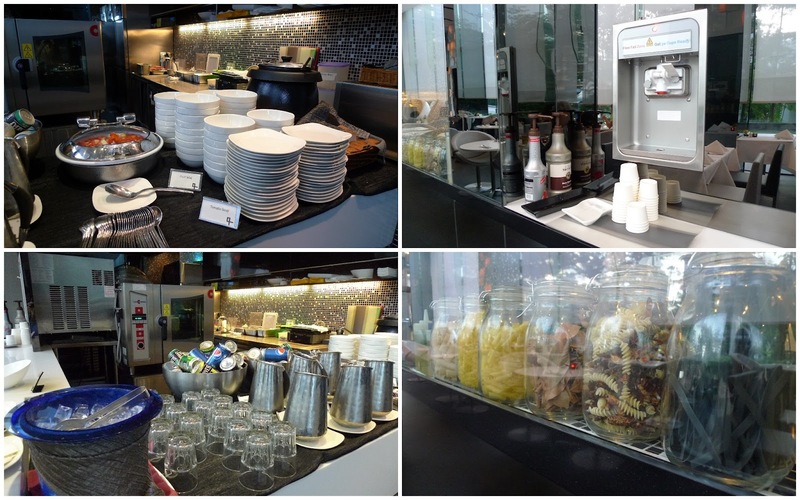 All the drinks in the mini bar and the coffee machine are complimentary! We went for the baking class at 3pm. The baking class has to be book prior to our staycation. There are 9 couples attending the class. The ingredients have been prepared for us and all we need to do is to follow the instruction and mix them together. We were also given a copy of the recipe for our future use. The ingredients provided allow us to make about 7 cupcakes. While waiting for our cupcakes to be baked, we were given a pre-baked cupcake each to decorate. The instructor recommends us to top our cupcakes with ice-cream which taste heavenly. There is an ice cream machine near the cooking’s room and the ice cream is free flow. We returned to our room and had a short rest before going down again for dinner at 6.30pm. The dinner is la carte serving. Hubby ordered steak for me and aglio olio himself. There is free flow of soup, wine and beer. After our dinner, hubby dropped me at Takashimaya where I bought cake and bubble foam. He went for a body massage at Tiong Bahru and return 2hrs later. In the meanwhile, I decorated the room and enjoyed myself in the bathtub. Breakfast is a buffet spread. Although the variety is not a lot but the quality of the food is good. The pratas are the most popular and got snap up very fast. 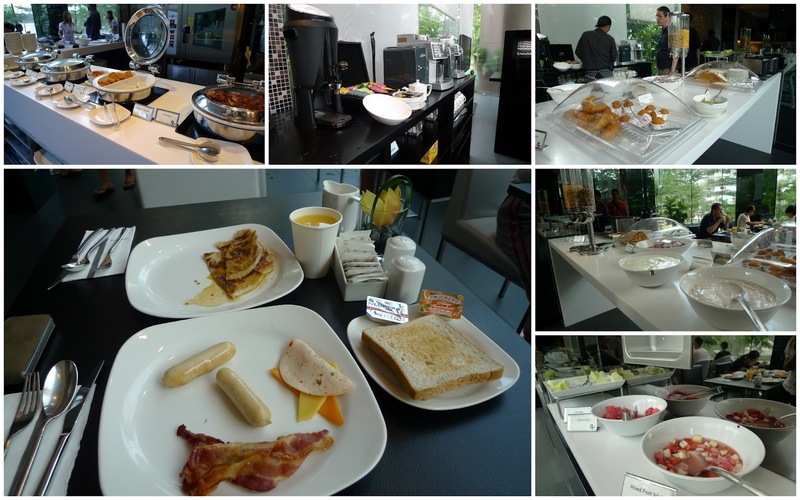 After our breakfast, we went to the 12th floor where the swimming pool and gym are located. Hubby spent about an hour in the gym while I read Straits Times at the poolside. 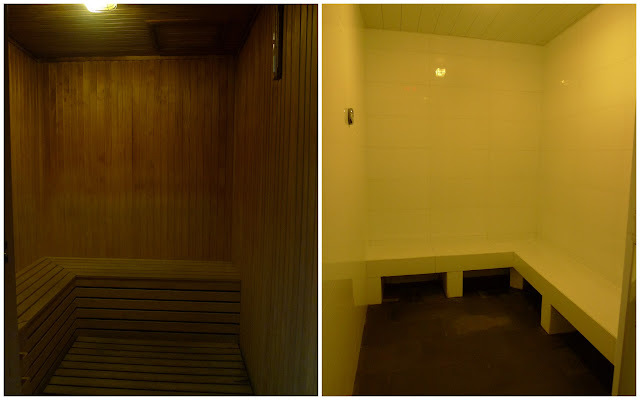 Then we went to use the sauna and steam bath which are also located at the same level. The lunch is also la carte. I ordered club sandwich for myself and Chicken hotdog for hubby. 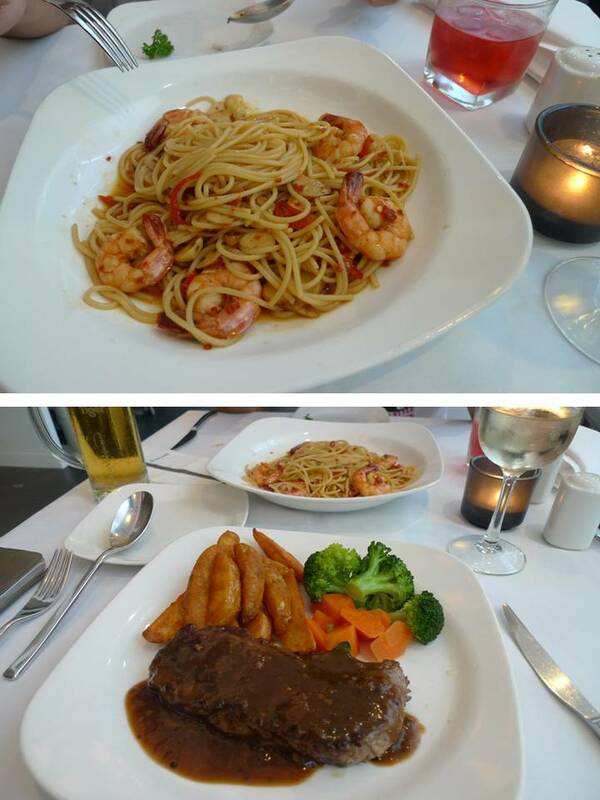 Both are tasty and the portion is huge. We returned to our room for a short rest before checking out at 3pm.